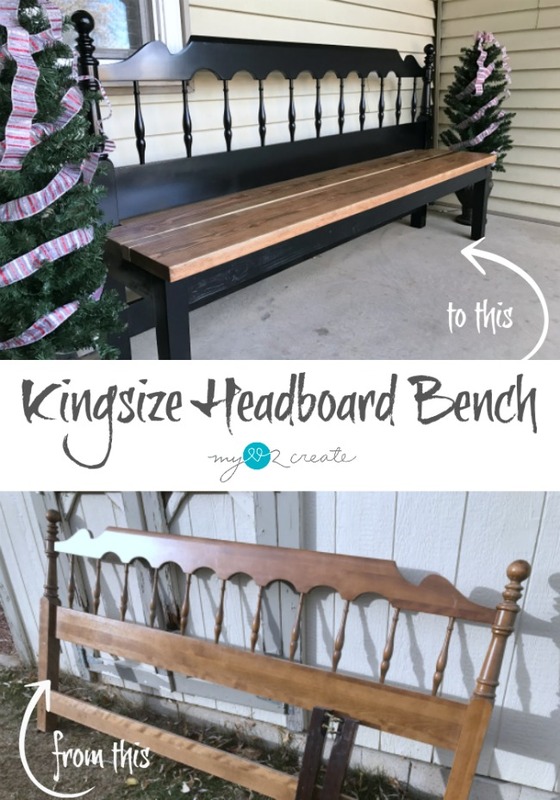 Today I am excited to share with you How to make a Kingsize Headboard Bench! 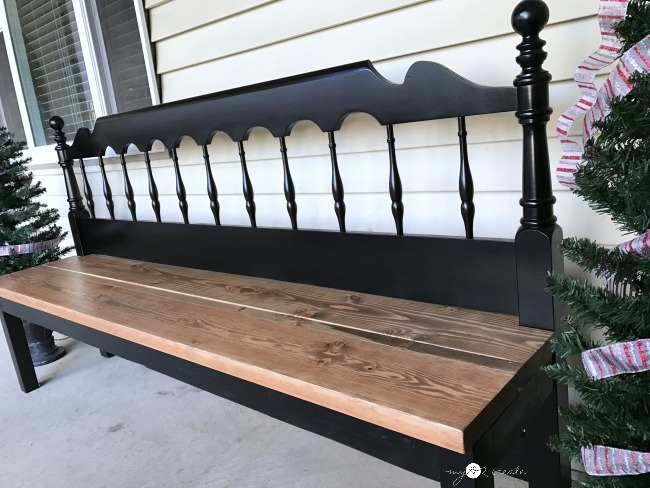 It was several years ago when I first saw a bench made from a headboard. I was fascinated and loved the idea so much. This was before I started building. 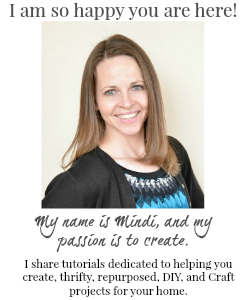 Gail from My Repurposed Life was the one who showed me, through her tutorials, how to make them....I didn't know her at the time, but I knew she was awesome! I found this kingsize headboard on the side of the road many years ago with a free sign, and so I brought it home! It is seriously huge, at 79'' long. I got the legs from a table my friend gave me. 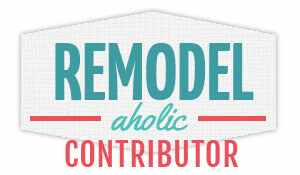 I have repurposed it on several projects. 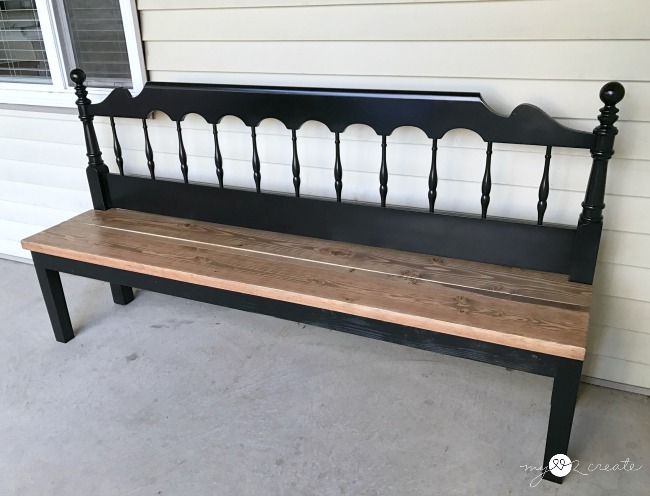 I used part of the top in my Kitchen Island with Pantry Storage, and cut the legs down and used half of them on my Mudroom Storage Bench, then I used two of the cut down legs for this bench and I still have two left. Pretty awesome! I started by cutting off the top of the legs. 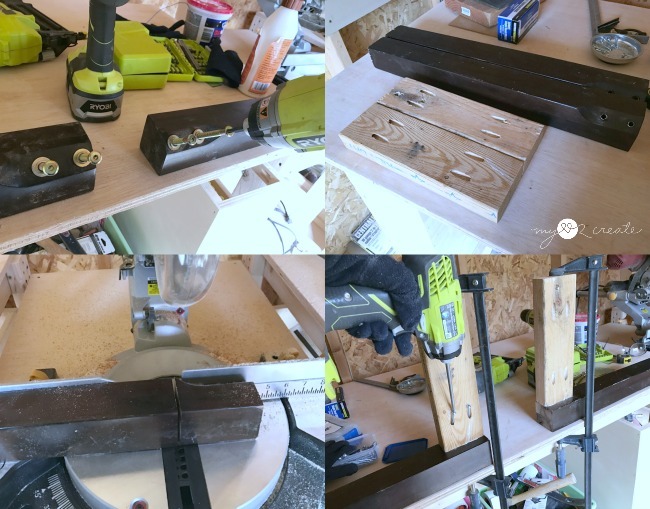 I happened to have some 2x4's with pocket holes already drilled from another project, they must have been cut wrong, and they were the perfect size so I decided to use them for side aprons. I cut my legs at 17 1/2'' and attached the 2x4 side aprons with 2 1/2'' pocket hole screws and wood glue flush to the top of the legs and outside edge. The side aprons are 11'' long. You may remember my Cubby Shelf Revamp, well this bench is going to the same place. :) My daughter's Dance studio. I wanted to keep the bench seat shallow because of limited room in the studio, you can adjust the aprons to make it deeper if you desire. This post contains Affiliate Links that help me at no charge to you! Thank you! Read More. 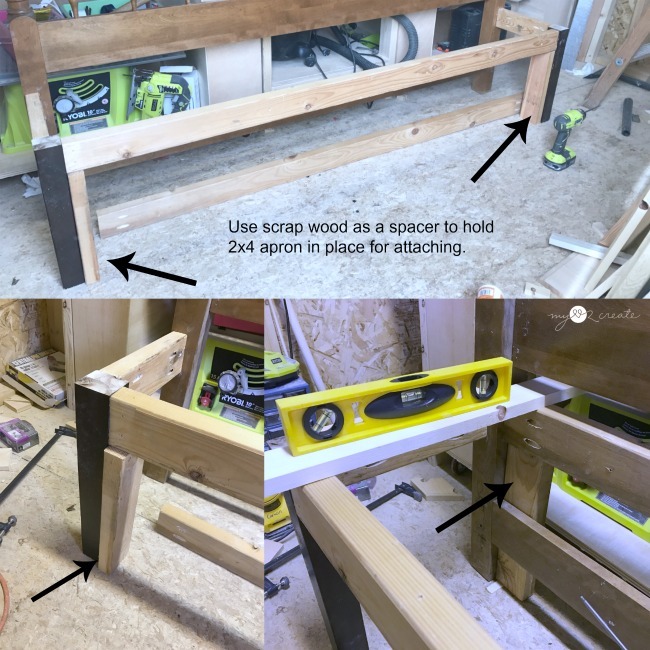 I glued and clamped the leg and apron piece to the headboard. As I built, I made sure it was level and square, adjusting my clamp until it was perfect. 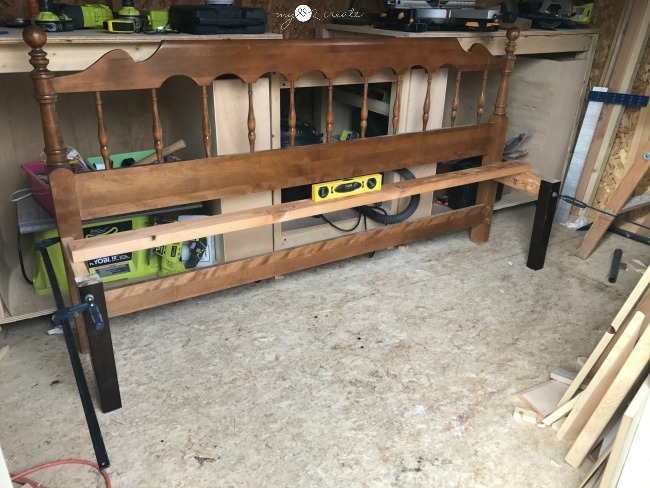 Next, I attached the side apron to the headboard with 2 1/2'' pocket hole screws. I did this on both sides. I also checked to make sure the legs and aprons were level with each other before attaching them to the headboard. You can see I used a 2x4 to hold my level. I cut some scrap wood for spacers to hold up my 2x4 aprons. This made it easy to attach them with pocket holes on the inside. At this point all I needed to add was the seat supports and bench top! It came together so fast! 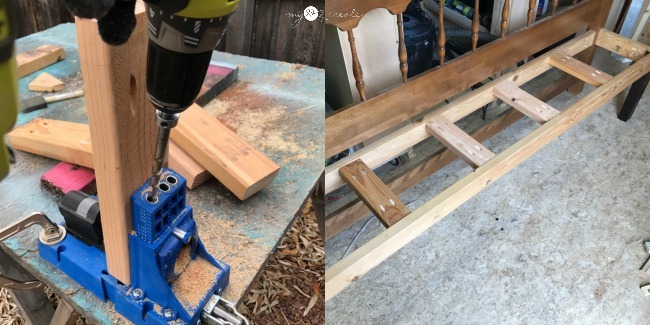 Using scrap 2x4's I drilled 1 1/2'' pocket holes with my Kreg Pocket-Hole Jig , and used 2 1/2'' pocket hole screws to attach the seat supports. I made them flush with the top of the front and back aprons. This thing is super sturdy! 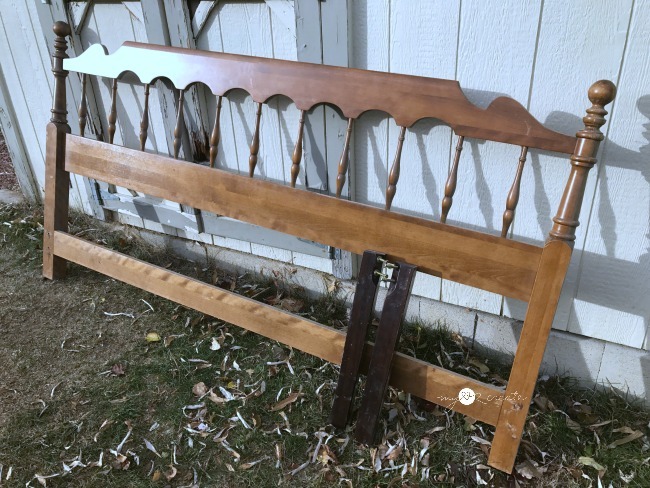 Everything for this bench was free except for the top seat boards. I originally was going to get 1x8's, but they would have cost twice as much as the 2x8's. So I got 2-2x8's and 1-2x2 board to make the seat. It was a win win situation, because I liked the thicker seat top better! I notched out the back 2x8 boards with my Ryobi Jig Saw so they could fit around the headboard legs. This photo above it a dry fit to make they fit, it was perfect! 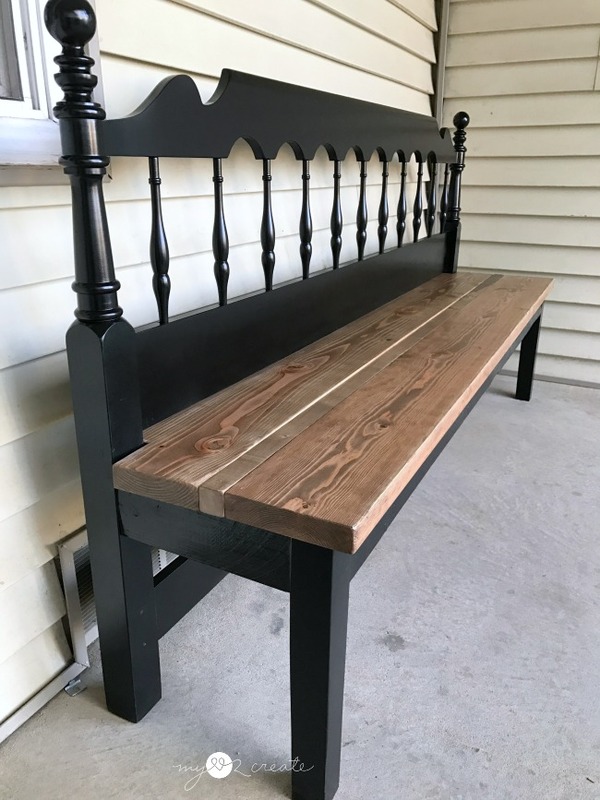 I went with Rust Oleum Semi-Gloss Black spray paint of the bench, and used Minwax Special Walnut for the seat. Using my Ryobi Nail Gun , I attached the bench seat with 2'' nails from the top into the sides and middle supports. I also added some screws underneath through the support boards. 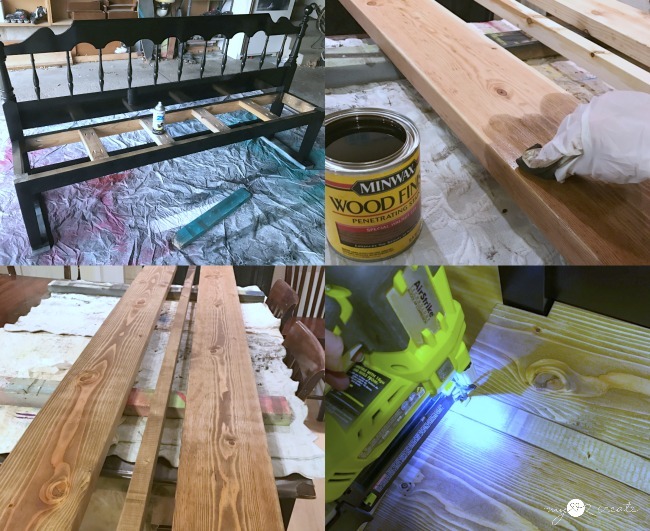 The bench top was sealed with three coats of poly, sanding with 400 grit between coats 1 and 2 to make it nice and smooth. I think it turned out so pretty! It has a very commanding presence! You might say very "Kingly" Ha ha, pun intended. :) I decided not to add arms so the dancers can sit on the ends for putting shoes on. I put it on the front porch for pictures and since it was December the Christmas trees were a natural fit for decor. 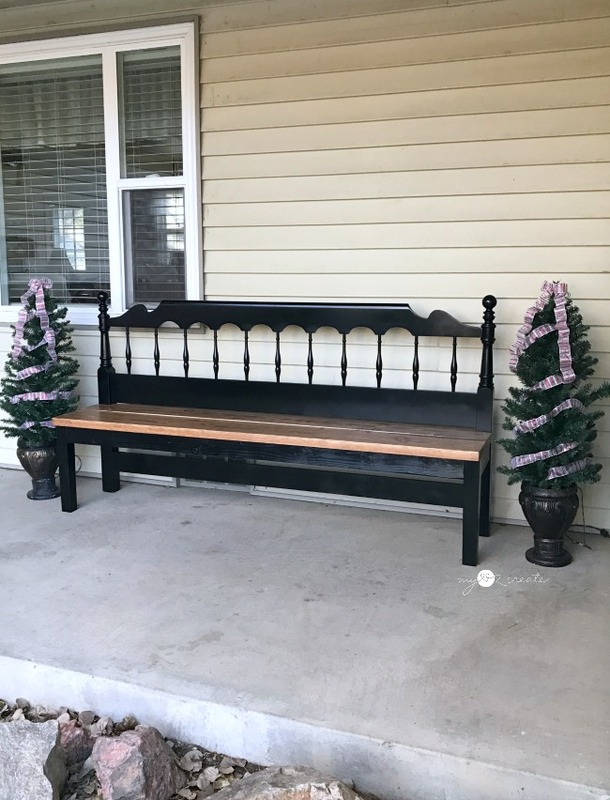 I really love repurposing headboards into benches! 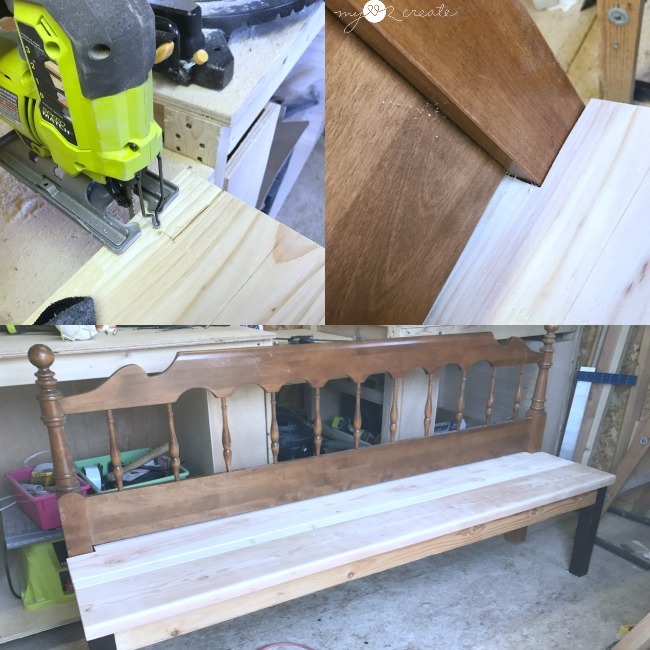 You can see my Repurposed Bed to Bench, and my Headboard Bench or loving referred to as the Puzzle Bench as well! 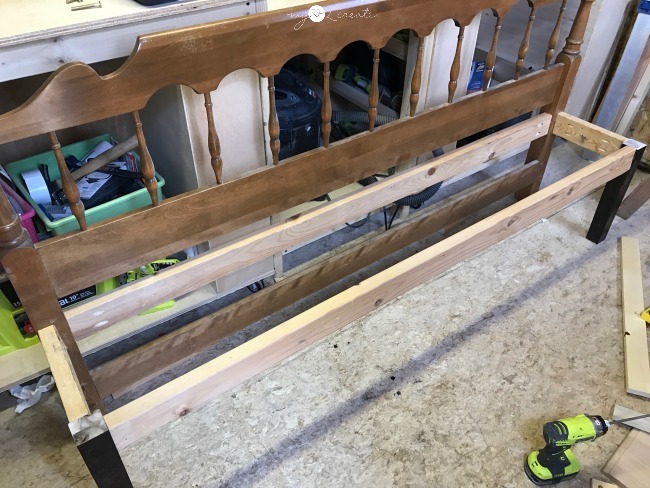 Have you every made a headboard bench?